Seletar Aerospace Park barely comes into consideration when you think of idyllic neighbourhoods in Singapore. The recent overhaul of the area, however, has transformed it into a lush food enclave removed from the hectic buzz of the city, and The Summerhouse has proved one of the most exciting. Run by Chef de Cuisine, Florian Ridder, The Summerhouse is home to three food and beverage concepts — its namesake restaurant on the second floor, as well as Wildseed Bar and Wildseed Café on the ground level. All adhere to celebrating local produce where possible, and they also garnish with harvests from their in-house edible garden. 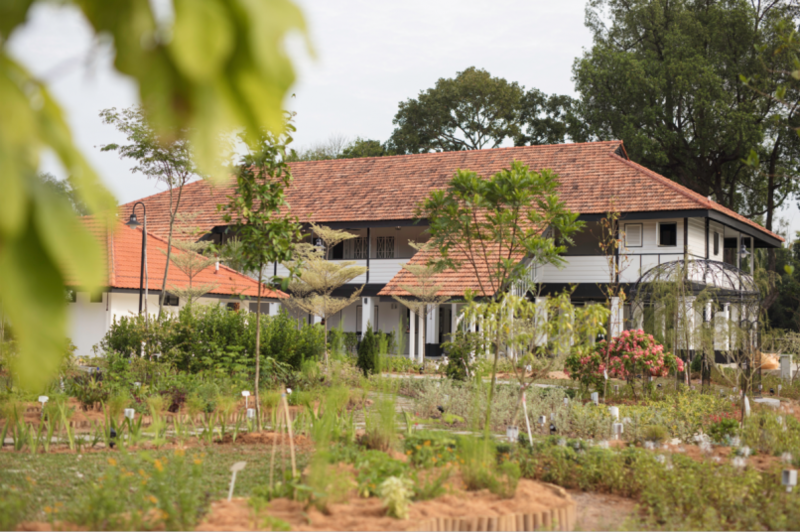 Said garden flourishes through permaculture, an arm of organic horticulture that doesn’t use pesticides, and allows nature to do its work on the landscape with little to no human intervention. The permaculture garden and The Summerhouse compound beyond. Last Friday, we paid a visit to Wildseed Bar to sample its newly revamped menu that boasts nature-inspired cocktails, grilled meats and hearty sides with a distinct Asian twist. The bar may be alfresco, but the breezy locale made the lack of air conditioning barely noticeable. One caveat is that the live band can be pretty loud, which detracts from conversation, but they only play on select nights. 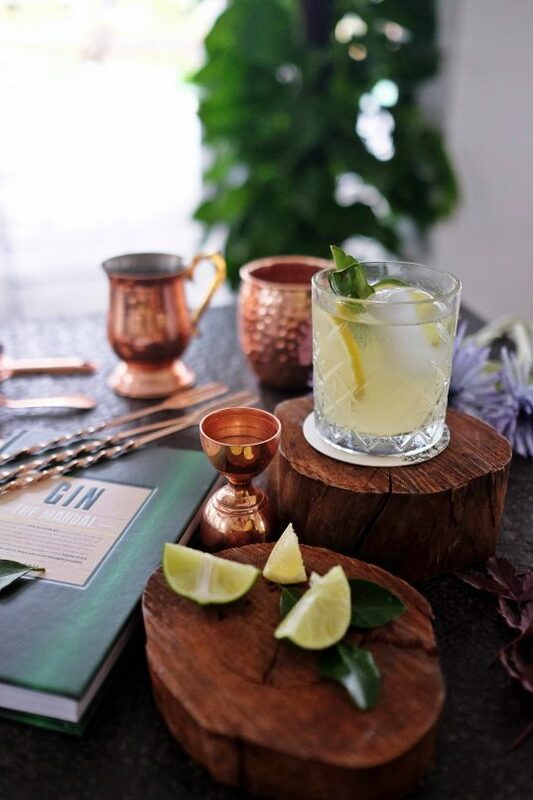 Aligning with the concept of using localised ingredients, the new drinks menu boasts light cocktails dominated by botanicals. A majority of the new additions are gin-based — a natural choice given how pronounced the floral notes are in each mix. Leave your expectations for spirit-forward cocktails before stepping into Wildseed Bar. Here’s not the place you’ll find a punchy martini. 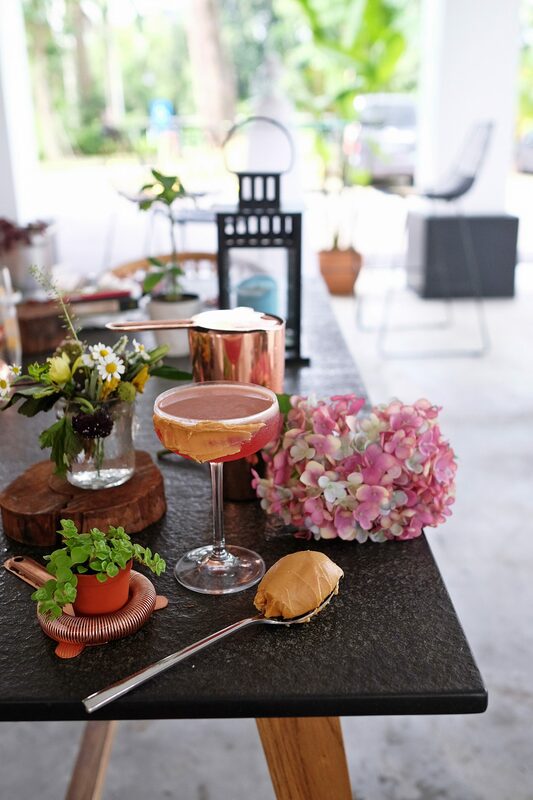 Instead, embrace the elegance that garden-to-glass mixology provides with the freshness of each drink. We’d recommend the Flora-Lola or No. 3 to start the night. 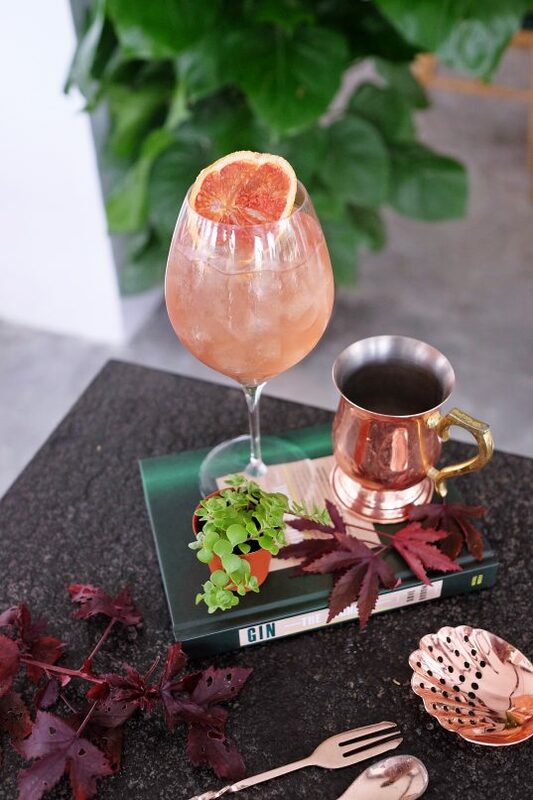 Both are made from Hendrick’s Gin, with hibiscus, ginger ale and cucumber bitters in the former, and pomegranate juice, basil and elderflower in the latter. For something stronger, the Grapefruit Negroni is an elegant aperitif, comprising Dolin Rouge vermouth, Martin Miller gin, Campari and fresh grapefruit to lend a hint of bitterness. Give either the Tajiima wagyu bolar blade steak or the Tajima wagyu burger with blue cheese a try if you’ve got a hankering for red meat. The steak is 200 grams of melt-in-your-mouth magic with a side of grilled asparagus, while the burger is a sinful treat topped with garlic butter, cornichons and sambal tomato sauce. The grilled red snapper easily feeds four. If you’re there with a group, order the whole grilled red snapper. 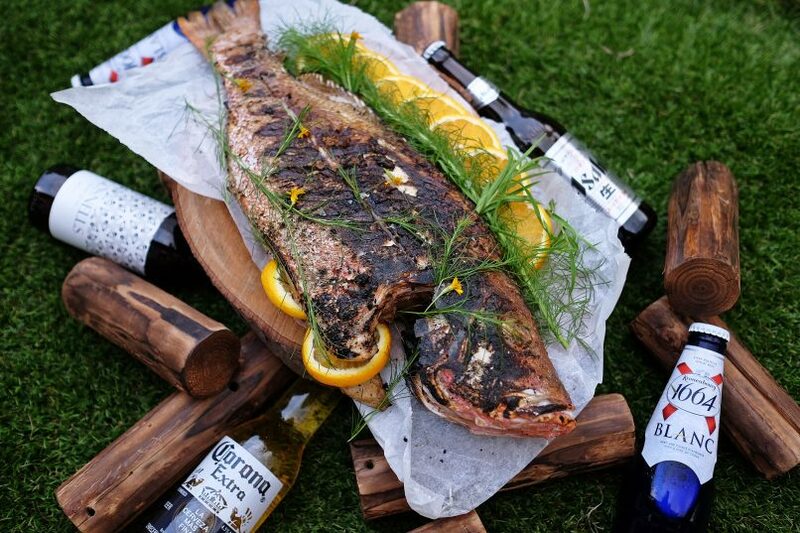 Stuffed with dog fennel, garlic, lemon, thyme and rosemary, the snapper comes off the grill extremely fragrant. Crispy skin clads white, juicy fish meat that goes well with the bar’s homemade orange butter. One downer was the harrissa baby back ribs, which we found slightly too tough. From L to R, clockwise: Sambal mayonnaise, yuzu mac and cheese, and grilled cheese bun. 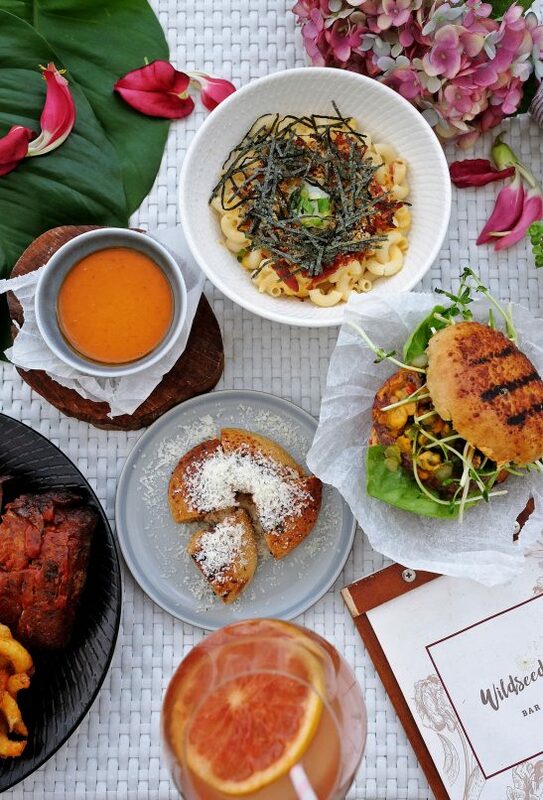 For sides, the kicap manis-coated grilled abalone mushrooms, cheese bun and yuzu mac and cheese scored huge brownie points. Wildseed’s also got curly fries on the menu all year round, served with a main or as a side to share. Order the homemade pickled mango salsa or sambal mayonnaise to dip those fries in. Trust us. Wildseed Bar, The Summerhouse, 3 Park Lane, Singapore 798387, +65 6262 1063. Open from 5pm to 11pm on Mondays to Thursdays and Sunday; and from 5pm to 1am on Fridays, Saturdays and eve of public holidays.